Samsung Electronics faces the possibility of U.S. import bans on some of its smartphones in two separate cases brought by Apple, with major steps happening Friday. The U.S. International Trade Commission (USITC) is scheduled to decide Friday whether Samsung infringed four Apple patents involving smartphone user interfaces and headphone input functionality. The commission plans to move ahead with its decision and consider whether to ban the import of four Samsung smartphones, a USITC spokeswoman said, even after President Barack Obama’s administration recently overturned an import ban the USITC approved against Apple products. Meanwhile, in yet another patent infringement case between the two companies, the U.S. Court of Appeals for the Federal Circuit in Washington, D.C., is scheduled to hear oral arguments Friday in an Apple appeal of a lower court decision rejecting an import ban when Samsung was found to infringe Apple patents. Those patents covered Apple designs and interfaces separate from the Apple patents now being considered at the USITC. In the court case, a jury awarded Apple more than $1 billion in damages before Judge Lucy Koh reduced the award by about $450 million. Apple wants an import ban in addition to the damages. Back at the USITC, the U.S. Office of Trade Representative’s (USTR’s) decision overturning the import ban is not reversible by the USITC, the spokeswoman said. 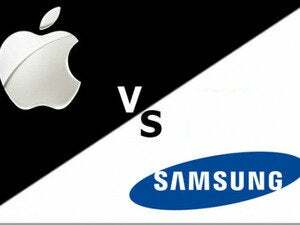 Last Saturday’s decision by the USTR to overrule the USITC’s decision to ban the import of some Apple products, in a separate patent complaint brought by Samsung, may put commissioners in a difficult position, said Matthew Levy, patent counsel at the Computer and Communications Industry Association. U.S. trading partners may see the decision by the USTR to overturn the import ban on older Apple iPhones and iPads as an effort to protect U.S.-based Apple from Samsung, a South Korean company, Levy said. If the USITC now bans the import of some Samsung devices, other countries may see that as “favoritism,” he said. The USTR’s decision “set up a difficult situation here,” he added. 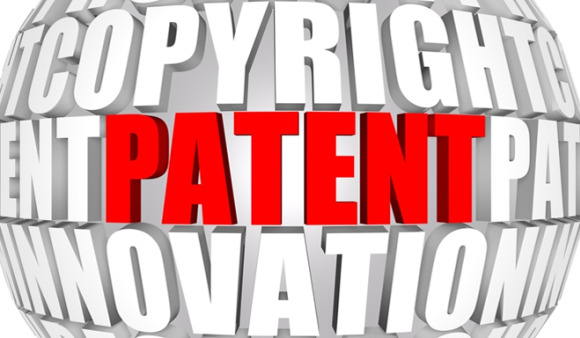 Some patent experts have criticized the USITC patent infringement process, questioning whether companies should be able to file parallel patent complaints in U.S. courts and at the commission. The USTR’s veto of the import ban may signal to Apple and Samsung that it’s time to negotiate a settlement in their long-running patent dispute, Levy said. With import bans rejected by both the USTR and the U.S. District Court for the Northern District of California, neither company is getting the outcomes they wanted when filing patent complaints, he said. “It’s possible that both sides could end up getting little or nothing except huge legal bills,” Levy added. The USTR gave little guidance for its reasons, Black said in an email. Some patent experts said it’s unclear what broader implications the Obama administration’s reversal will have on patent complaints filed at the USITC. The commission “has been under pressure from a number of directions to get in line” with a 2006 U.S. Supreme Court ruling that courts should not automatically issue an injunction after a finding of patent infringement, said Albert Foer, president of the American Antitrust Institute, a group that advocates for aggressive antitrust enforcement. Foer praised the USTR’s decision, saying it was fair after Samsung “effectively reneged” on a commitment to license the disputed patents on fair, reasonable and nondiscriminatory (FRAND) terms. The USTR’s decision could cause companies to think twice before filing a patent infringement complaint at the USITC in addition to pursuing infringement cases in court, Foer said in an email. If the USITC moves away from automatic import bans, “some of the movement from the federal courts to the ITC will be disincentivized,” he said. Technology lawyer Arif Mahmood questioned whether the USTR’s veto will affect future patent disputes at the USITC. The USTR’s decision “highlights how the USITC sometimes operates as a parallel legal system with massive economic consequences,” Mahmood added.